Latest Tecno Phone Phantom 5 price in Nigera and specs. 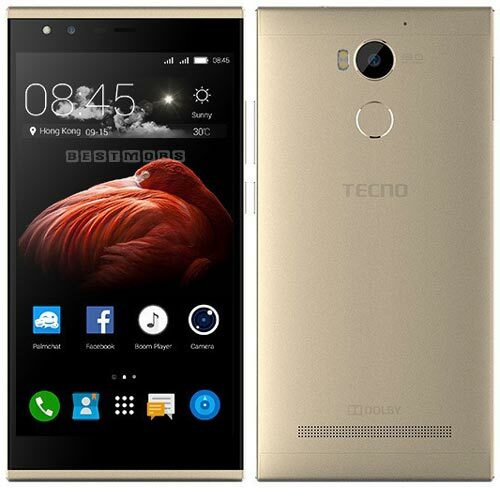 Going rate of Tecno Phantom 5 on Jumia and other marketplace. Tecno mobile company released the Tecno Phantom 5 in September, 2015, to be their flagship device. The Phantom 5 is their first product to feature a metallic body as they try to compete with other high-end phones. It features Fingerprint technology, allowing up to 5 different fingerprints and taking just 0.7 seconds to identify and unlock. At 3000mAh, the battery is not exactly topping the Android phone market but with ultra power and preinstalled battery saver options the battery life is extended significantly. It supports 2G, 3G and 4G network. The primary camera has, face/smile detection, LED flash and HDR. Front 8 MP up to 3264 x 2448-pixel pictures. Yup, it has a LED flash too. That is a killer weapon to top the selfie business.